My overview of the Kings’ situation ran on ESPN.com today, so be sure to check that out. One quick point relating to the TV rights element: the Kings’ current deal, I’ve been told on good authority, is worth approximately $11 million annually with Comcast. That figure has not been published previously, I don’t believe, and it’s key in considering how much they stand to gain by making the move to Southern California. Obviously the Lakers exist in a different stratosphere than the Kings or the would-be Royals, but I was shocked to hear – again, from someone with a vested interest here – that the reported figures for their Time Warner deal of 20 years and a combined $3 billion were significantly low. Finally, some good news for fans of the franchise currently known as the Sacramento Kings: holding onto Marcus Thornton is a major offseason priority for your team. The purple-elephant-in-the-room bad news: He’ll probably be playing out a new contract in Anaheim. As it turns out, Thornton – a second-round pick in 2009 who is earning approximately $762,000 this season – is not only chucking but converting. In 19 games with the Kings, Thornton has averaged 22.4 points while shooting 47.1 percent from the field overall and 42.6 percent from beyond the arc. The production has paid off recently, as they won five of six games before falling to Denver on Wednesday and posted a four-game winning streak that was their first since the last one that spanned from Nov. 25 to Dec. 2, 2009. ANAHEIM, Calif. – Two eyes available for viewing. Two players to watch. It all works out then. For those like myself who watch the entire NCAA Tournament through the NBA prism, don’t let your pupils stray from Arizona’s Derrick Williams or UConn’s Kemba Walker when today’s Elite Eight matchup begins in a couple hours here. For my (media pass) money, they are by far the two most NBA-ready talents I’ve seen from the Tucson and Anaheim Regionals. 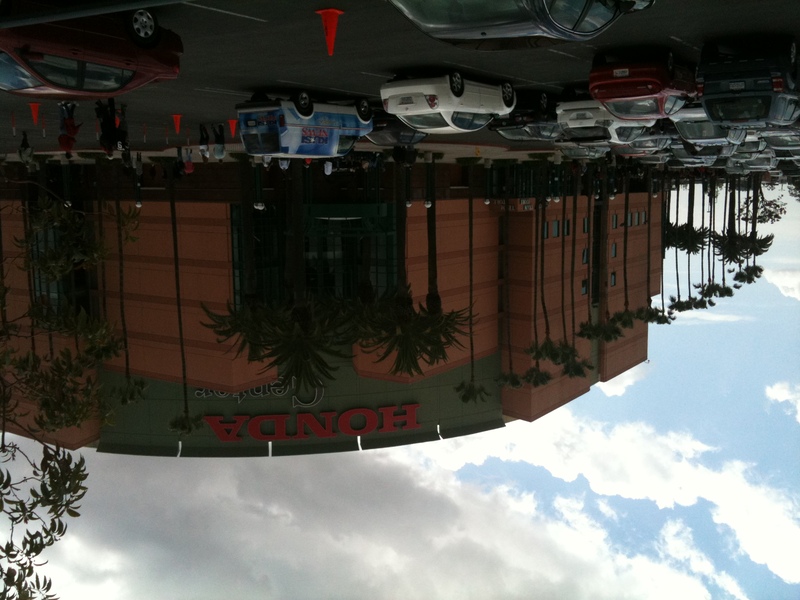 It is with a tinge – no make that a ton – of guilt that I bring you this first-hand report from the enemy camp: the Honda Center is pretty nice. We saw a glimpse of the future on Thursday night, when the same NCAA Tournament that has snubbed its nose at Arco Arena in recent years embraced this Anaheim venue that the Kings will likely call home. As arenas go, it’s no supermodel, but it is certainly marriage material. Apologies for the disappearing act folks, as I’ve been on assignment covering the N.C.A.A. Tournament and let the site go ignored in the process. It’ll be a worthy price to pay come June, though, when the NBA Draft arrives and this early homework done watching prospects will come in handy. I covered the Tucson Regional for The New York Times, meaning I got a good look at projected first-round prospect Kawhi Leonard of San Diego State. I’ll have more on him later in the week in another piece for The Times, but wanted to share the last week’s worth of work if only to get us past the previous post dated ‘March 15.’ There will be more to come, too, as I’m headed for Anaheim on Wednesday for the Sweet Sixteen and Elite Eight. Because this was more a link-fest than an enlightening post, I felt obligated to provide some form of entertainment before signing off. And this certainly qualifies: behold the viral video of a University of Arizona student who nearly plowed over a media member with his SUV. The vehicle was being used throughout the weekend to help run reporters around the campus, not over them. SACRAMENTO, Calif. – For those who enjoy the league-wide musings on this still-in-its-infancy site, you’ll just have to be patient when it comes to the frequent Kings updates. The reality that I’m a former Kings beat writer who is still based in this part of the country coupled with the fact that the team’s new deadline to file for relocation is on April 18 means it’s a story I’m naturally drawn to and will see through until the end. And as I wrote for Comcast SportsNet Bay Area on Monday night, the reality is that a Kings move to Anaheim still looks likely. When it comes to the National Basketball Player’s Association and the collective bargaining disagreement it is having with the league’s owners, it’s not just the external forces they have to consider leading up to the June 30 expiration of the current deal. Internally, there is an unprecedented push to help the players themselves get educated on the issues. Most recently, that effort came in the form of a three-page update issued from the union that was obtained by NBA Confidential and can be seen above. That comprehensive approach is even more vital considering the context, as the developments in the NFL on Friday cast an even darker shadow than before on the prospects of getting a deal done in the NBA. The NFL Player’s Association was decertified after negotiations broke down with the league’s owners, allowing them to file an antitrust lawsuit through which they’re hoping to block a work stoppage. It’s a drastic measure that has been considered by the NBPA, which has already gathered preemptive votes on the matter from its players in order to gauge potential support. NEW YORK – Just when it looked as if the Melo-drama was finally over, we have this fascinating postscript. Carmelo Anthony joined Amar’e Stoudemire in New York, of course, with eight months of maneuverings mercifully ending with the nine-player trade with Denver that made Madison Square Garden his new home on Feb. 22. But a Monday visit from Utah brought with it a retroactive hypothetical, as Jazz general manager Kevin O’Connor made Knicks president Donnie Walsh aware for the first time that it could have been Deron Wiliams wearing the Knicks jersey and not Anthony if those days and dealings had gone differently. As O’Connor told Walsh approximately an hour before the game and would later repeat in an interview with NBA Confidential, he targeted the Nets’ and Knicks’ assets and decided to play the waiting game. Somebody would lose in the Anthony sweepstakes, and that team would immediately hear from O’Connor to discuss a marvelous Plan B.
BOSTON – Joe Lacob loves to talk. Exhibit A of that fact came in November, when the new Golden State owner joined co-owner Peter Guber in doing the sort of media rounds former owner Chris Cohan never did after their league-record $450 million purchase became official. Exhibits B, C, D, E and maybe even F came in the four months thereafter, as Lacob headed a transparent public relations effort in which his bold proclamations and occasional oversimplifications gave the long-suffering Warriors fans hope for, as the team’s adopted theme song courtesy of Michael Buble went, a new dawn and a new day. BOSTON – Talk about a miscommunication. I said hello to former NBA deputy commissioner Russ Granik at the MIT Sloan Sports Analytics Conference on Friday, then asked him to share his unique perspective on the looming labor situation. He said he was encouraged and optimistic…about the NFL. Once it was clarified that hoops was the sport in question, his tone certainly changed. Only this type of event could offer this sort of opportunity to bend this kind of ear, and the man who spent 30 years in the league and 22 as second-in-command to commissioner David Stern before his 2006 exit was as interesting as I’d hoped in assessing the situation.